Memphis has lost just three times all playoffs, and boasts a 5-0 home record. If the Grizzlies can steal one of the first two games in San Antonio, they will have the clear upper hand in the series. Marc Gasol and Zach Randolph really got on track together against the Thunder, and Mike Conley exploited the fact that Oklahoma City was without Russell Westbrook. Memphis is a team where every player knows his role, just like its opponent in the West Finals. San Antonio is the epitome of team. Always has been. Just like Memphis, the Spurs are relatively deep thanks to their role players. Also, just like Memphis, San Antonio prides itself on defense. 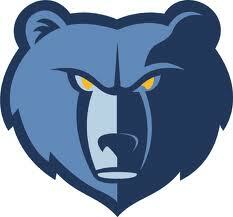 That all being said, this matchup favors the Grizzlies. Tony Allen is the NBA’s premier perimeter defender. He will be assigned to cover either the emerging Kawhi Leonard who can score from all over the floor, the always-lethal Manu Ginobili or the long ball specialist Danny Green. If Allen can neutralize whomever he guards, the pieces should fall into place for Memphis. The big men matchups plus the point guard duel are all relatively even, but Allen can tip the scale in favor of Memphis with his defense. Memphis in seven. 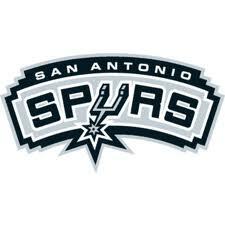 I think this one goes the distance because the Spurs will not roll over and quit, no matter how far behind they fall. The Grizzlies big men will play well and negate San Antonio’s advantage of playing two seven-footers. Miami lost game one against Chicago and the basketball world exploded. But, as I predicted, they went on to win four straight and utterly dominate the Bulls on both ends of the floor. Indiana has a similar playing style to Chicago: defense, defense, defense. In fact, Indiana was the NBA’s top defensive team all season long. But, can they neutralize Miami throughout an entire series? I firmly believe the Pacers are Miami’s toughest matchup. They, on many different occasions, made the Knicks’ sometimes-lethal offense look downright lost in the second round. Their center, Roy Hibbert, made Tyson Chandler look like Chris Dudley for six straight games. None of that will matter against the Heat. Indiana’s defense will play well, but Miami knows how to move the basketball and attack the rim. When one role player struggles, another one is waiting in line to step in and perform. The Pacers were fortunate enough to face a Knicks team in round two that didn’t pass the ball enough, settled for entirely too many jump shots and who was not deep enough to mask the struggles of some of their scorers. Hibbert will play well again, and, quite frankly, that’s exactly what the Heat want. 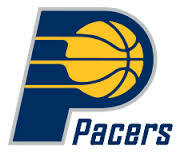 Hibbert dominating means Paul George, George Hill and company will be neutralized. That’s two points every time down the floor for Indiana and not three. The Heat will take that all day long. Chris Bosh is always the x-factor. He is the NBA’s best role player and Heat fans’ biggest scapegoat. Bosh can spread the floor, which means he will pull Hibbert or David West far away from the rim. Miami will use that matchup to get Bosh open shots or drive to the rim and draw fouls. Miami in six. 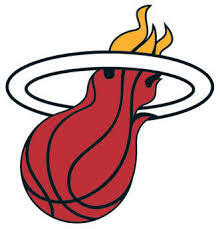 The Heat are too good. As good as Indiana is, Miami will find a way to beat it. LeBron James’ supporting cast is just deep enough to give the Pacers fits.